This past weekend was a rainy one, but it was one of my favorite weekends lately. There’s something about the rain and thunderstorms that just forces you to take it easy. Matt and I both really needed some downtime due to our jobs and some sort of weird summer cold, so the rain came at the perfect time. We finished up some house projects and then I broke in my new glue gun. I’m just a really girly crafty lady at heart, so I have a serious love for DIY projects. One of my favorite things to do is to just look at my craft box (which has turned into boxes…) and see what kind of things I can find. I’m a chronic ribbon hoarder, so there was lots of that. I also found a bunch of random sparkly things and buttons. 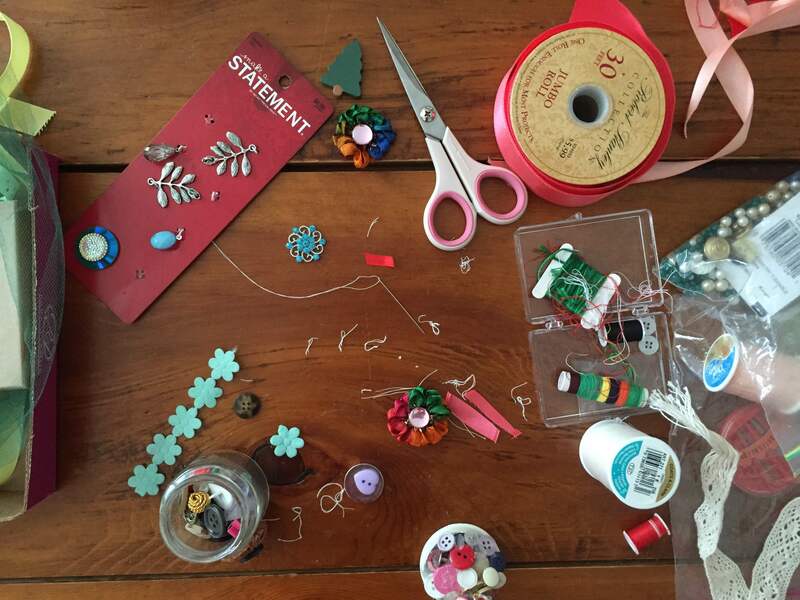 And I don’t know about you, but after our wedding, I ended up with a lot of extra crafty supplies (definitely not complaining haha). 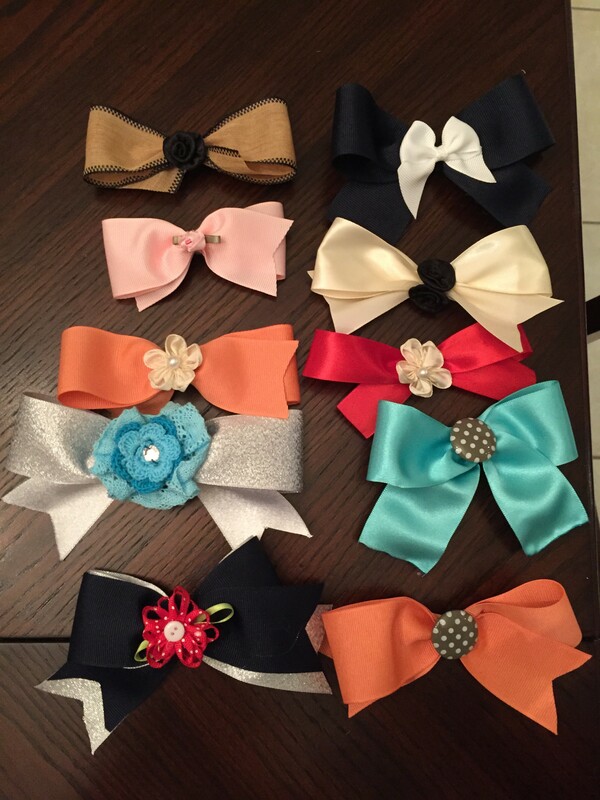 So, obviously I thought, “Bows!” I’ll make bows. What else do you do with ribbon and buttons and leftover wedding supplies!? Duh. I have the cutest niece in the entire world and she could always use more bows. 😉 Ps. someone here in Atlanta looked at my niece (who was wearing a big bow) and said, “The bigger the bow, the better the mom.” Haha. I believe that. 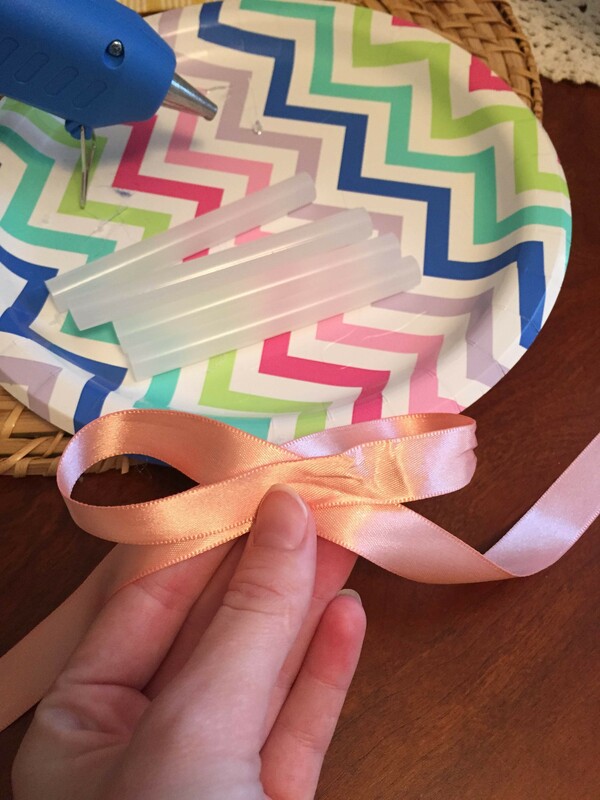 Without further ado, here’s a super easy tutorial on how to make some super easy and cute bows for your little loved one (or yourself)! Supplies: fabric, ribbon, knickknacks, hot glue gun, scissors, needle, thread, barrettes or clips. 1. 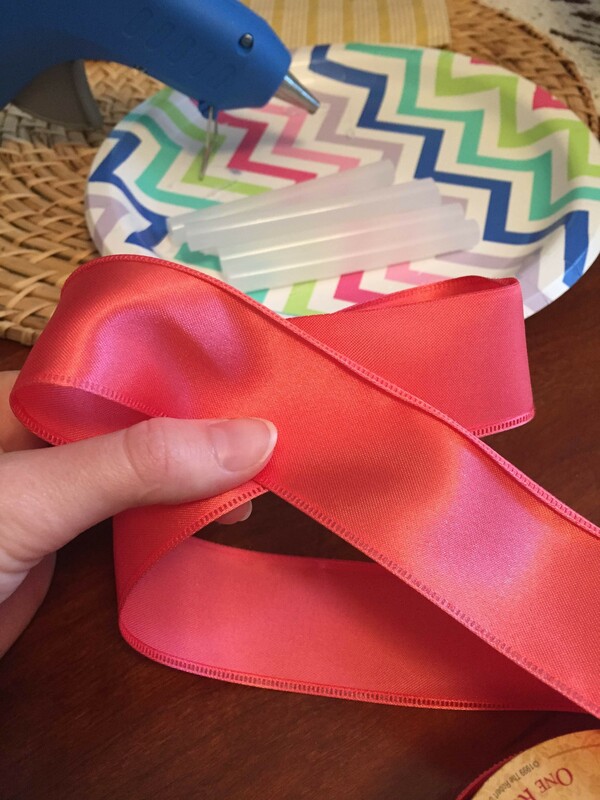 Choose some ribbon and wrap it to look like a bow. 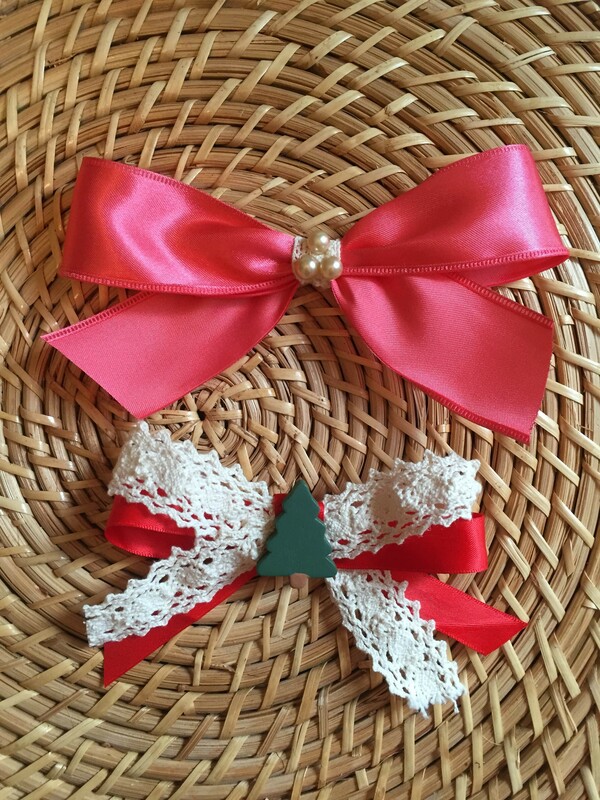 You can even do two or three pieces of ribbon together to add a bit more detail to a bow. 2. 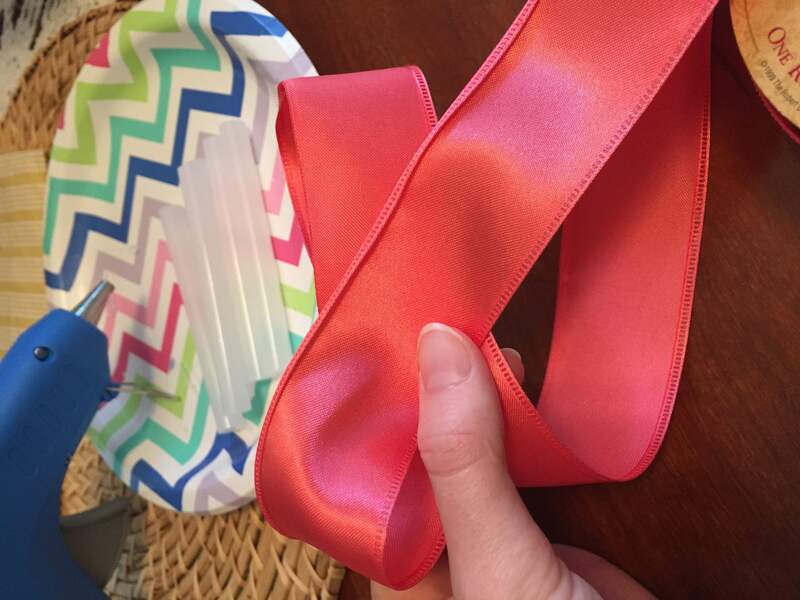 Fold the bow in half and then make a few stitches with a needle and thread on the “half fold line.” Or you can use a small piece of extra ribbon to tie around the middle part of the bow. 3. 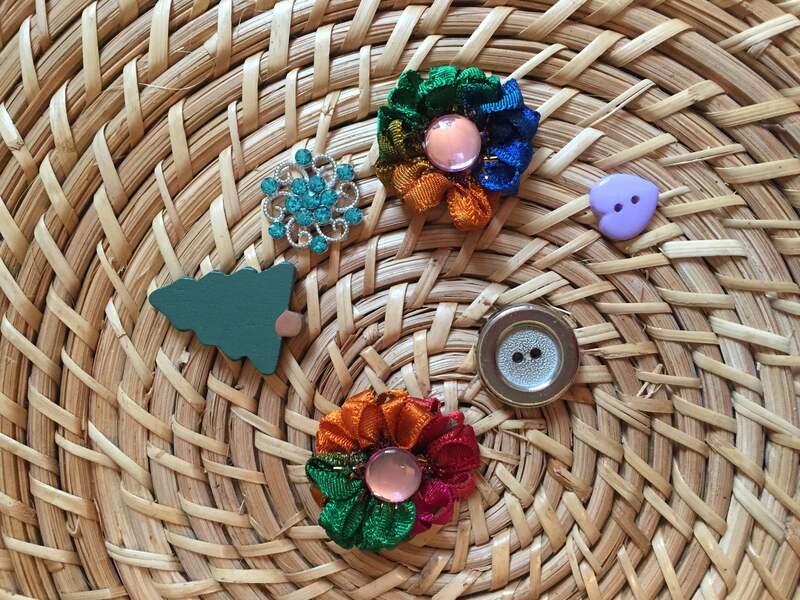 Once your bow looks like a bow, choose some pearls, sparkles or other knickknacks to hot glue onto the bow. 4. If you want to make these fabric yo-yo bows, here’s an easy tutorial to make the yo-yo part (I love making these!!). I always use leftover pieces of fabric from other projects. Then you create the bow part and either stitch or hot glue it to the back. You can also just leave the yo-yo on its own and add some sparkly things to the top. 5. 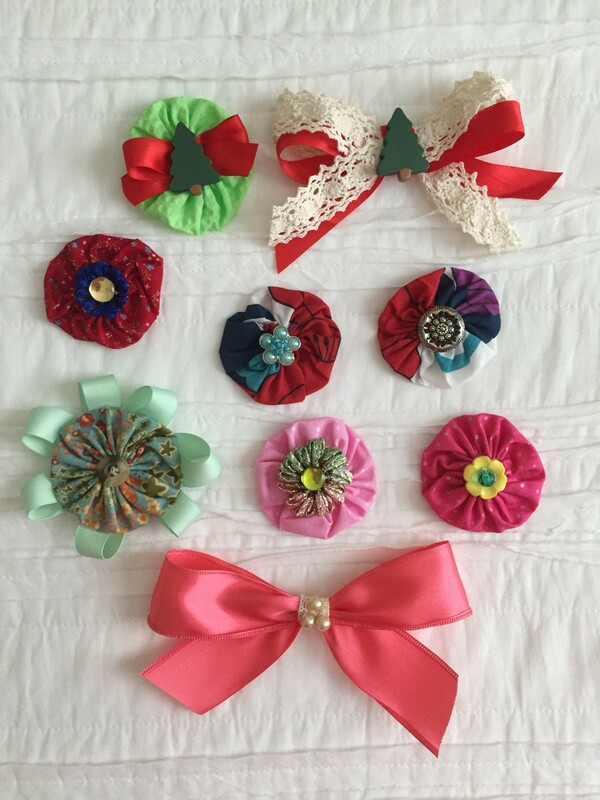 Whether you just make a bow or make a yo-yo fabric bow, you’ll want to put something on your bow so it can be clipped in your hair or clipped to a headband. 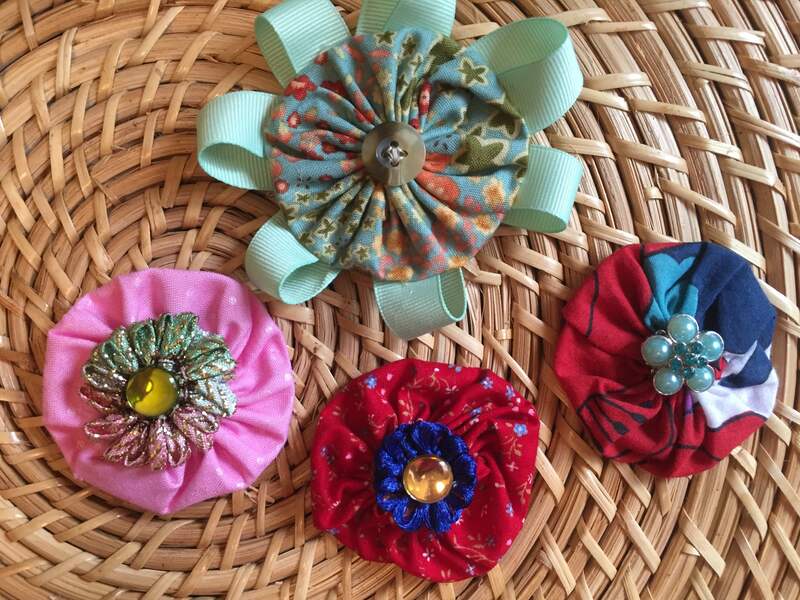 Hobby Lobby has a variety of clips and barrettes, so take your pick! You can easily hot glue them to the back of your bow. And here’s the final product of what I made this past weekend! My baby niece is pretty much ready for any occasion. And then here’s what my sister and I made earlier in the summer. For that project, we went more for neutral bows. You’d be surprised at what you can do with random things you find around the house! Happy crafting!